The beard will forever be remembered at Arizona State. On February 18, ASU will retire former player James Harden’s jersey No. 13. 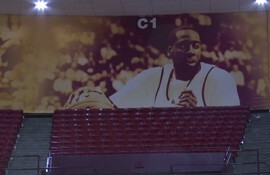 Harden is only the sixth Sun Devil to have his jersey raised at Wells Fargo Arena. Harden played on the team during the 2007-2008 and 2008-2009 seasons where he averaged 19 points per game and just under four assists. He is honored to be apart of this celebration and wants to be seen as a role model to students and adults. Harden was named to the first team all American roster after his sophomore year and took the team to the Pac-10 championship game. 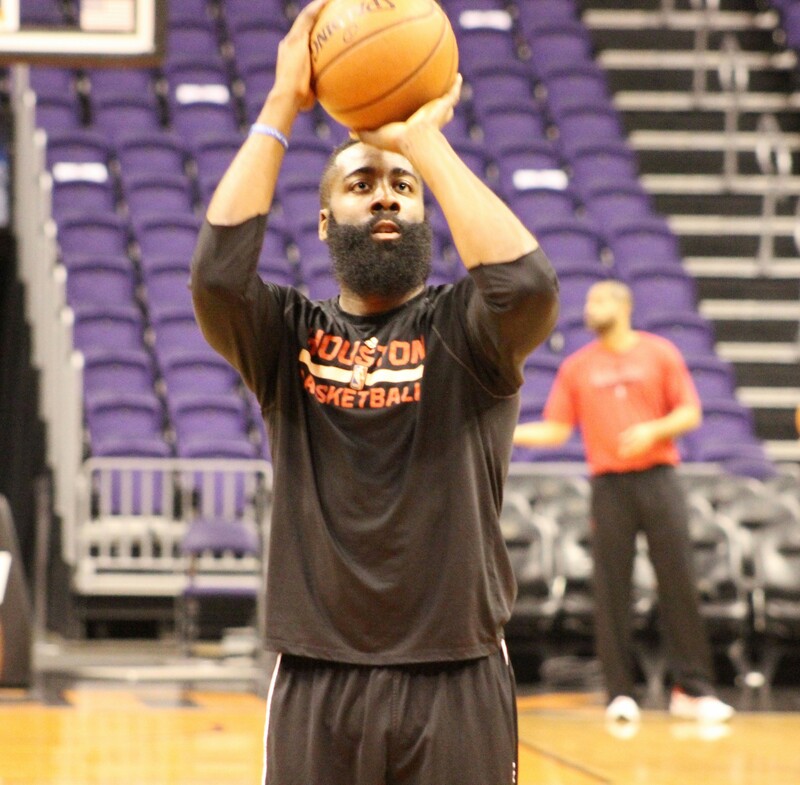 Former coach Herb Sendek uses Harden as inspiration for his current team. “In a lot of ways James remains the face of our program, he’s the most recognizable Sun Devil out there right now in the basketball world and a lot of young guys consider him to be their favorite player,” Sendek said. 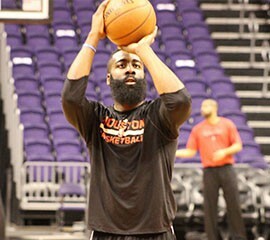 On the court Harden is a very intense and focused player but off the court he likes to joke around and have fun. “He was always one of the guys, he was friends with everybody and even with all of his success today, he’s still a regular guy,” Sendek said. “He laughs a lot, he tells a lot of jokes, he’s a cool guy to be around,” Shaquielle McKissic, current captain of the ASU basketball team said. McKissic never got the opportunity to play with Harden on the same team but remains friends with him, and Harden continues to give him advice and serve as a mentor. “I never expected him to be flashy, in our free time we would just be out on the court hoopin having fun,” McKissic said. Harden left Arizona State for the NBA draft in 2009 and was selected third overall by the Oklahoma City Thunder. Harden was the first player ever drafted by the Thunder as the franchise started in 2009, moving from Seattle. In 2012 Harden and the Thunder made it to the NBA finals and he was named sixth man of the year, the second youngest player to ever receive that award. “It’s great to see someone have so much success in such a short time and it’s definitely something I can aspire to,” McKissic said. Harden says he plans on attending next Wednesday’s game against UCLA when his jersey will be retired. As the NBA’s current scoring leader, Harden may add MVP to the list of accomplishments when the season is over. James Harden led Arizona State to two of its best basketball seasons in history during his time on the team and now is leading the NBA in scoring. With his recent successes in his career, Arizona State University has announced they will retire his jersey at an upcoming basketball game, making him the sixth retired number and the youngest inductee. Former Arizona State standout James Harden hopes his jersey retirement provides an inspiration for young athletes and Sun Devils alike.